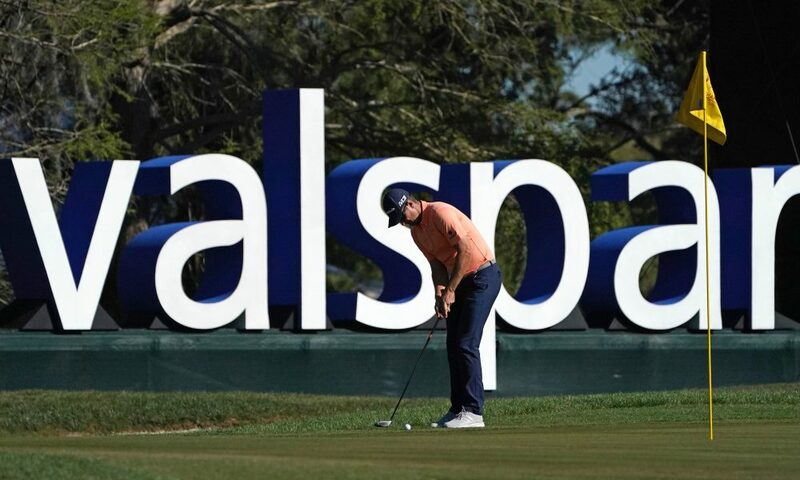 VALSPAR CHAMPIONSHIP: The PGA Tour’s Florida swing continues this week with the Valspar Championship, a once-minor event that has steadily grown in prestige over the past few years and now boasts a first-class field that is headlined by the likes of Dustin Johnson, Jon Rahm, and Jason Day. The precise reasons for this tournament’s growing profile are difficult to pin down, but I believe that moving the Players Championship back to March will pay dividends for this event in the long run, as players now have a quick trip from Jacksonville to Tampa, as opposed to trekking all the way from Mexico, as they were forced to previously. But one factor that can’t be overlooked when assessing this event’s increasing popularity is the venue— Innisbrook Resort’s Copperhead Course has been roundly praised by the players, gaining a reputation as a track that tests every facet of your game; a thinking man’s golf course that requires a sound strategy, shotmaking, and some creativity around the greens. At a time when many are advocating for things like changing the golf ball and lengthening courses even more, the Copperhead Course is proof that quality design, tight fairways, and firm greens are all that’s required to give the best players in the world fits, as only once in the past seven years has the winner of this event posted a score lower than 10-under. At 7,340 yards, it isn’t short, but it’s certainly not a “bombers only” type of place— indeed, the big hitters aren’t able to use their length to their advantage much at Copperhead, as several holes force you to hit it in certain spots off the tee and the driver is seldom used. Trees, sticky Bermuda rough, and water hazards await wayward tee shots, and finding the small, knobby greens requires precision iron play, so quality ball-strikers who excel on Bermuda grass should be at the top of the list this week. Paul Casey is the defending champion and is currently trading at 30/1 at BETDAQ, a fairly generous price for a guy who’s found the top-3 twice is his past four starts (though he did miss the cut at The Players last week). Dustin Johnson sits atop the market and has been playing really well, but his price (7.2) is awfully short, and he hasn’t played this tournament since a missed cut in 2010, so he won’t be on my list this week. Same goes for blue-chippers Jon Rahm (14.0) and Jason Day (15.0), as Rahm is making his debut here after a long Sunday at The Players, and Day has never fared particularly well at Copperhead. Both are overvalued this week, in my opinion. Webb Simpson (24.0)- Simpson is off to a great start this season, finding the top-20 in 5 of his 7 PGA Tour starts and shooting 72 or better in 27 of his 28 competitive rounds. Everyone knows about the consistent ball-striking, and Simpson has been as solid as ever in that department, ranking in the top-25 in strokes gained tee-to-green, but his putting has also stabilized, as he ranks a very respectable 70th on Tour in strokes gained putting and has had a couple of really nice weeks on the greens. He was solid at The Players last week, breaking par in all four rounds and finishing 16th, and he’ll be as comfortable as anyone in the field on the Copperhead Course, considering this is a regular stop for him and he’s experienced a lot of success in this event, including a runner-up back in 2011 (when it was known as the Transitions Championship) and T8 last year. With his ball-striking and course familiarity, Simpson will put himself in position to contend this week, and if a few putts fall he’ll be tough to beat. I’ll gladly have a taste at a price like 24.0. Lucas Glover (60.0)- Glover had sort of fallen off the map over the past few years, finding the winner’s circle only once since his 2009 U.S. Open triumph and appearing in the news in the most unfortunate of circumstances (note: happy wife, happy life. crazy wife, well…). But he’s found his game again and is putting together his best season in over a decade, finishing 17th or better in 8 of his 10 starts and 10th or better in 3 of his last 4, including a T4 at the Honda a couple of weeks ago. He’s always played his best golf on Bermuda, so his performance at the Honda and his T10 at Bay Hill probably shouldn’t come as a surprise considering his recent form, and he has plenty of experience at the Copperhead Course, playing this event regularly over the years and finding the top-25 in 2 of his last 4 appearances. A missed cut at The Players last week may have thrown some off the scent, but Glover has been contending regularly this season and this venue should suit him nicely. Don’t be afraid to throw a few bucks his way at a price like 60.0. Joaquin Niemann (138.0)- After turning professional last year Niemann instantly validated the considerable hype that had been surrounding him since his prolific amateur career, finishing 8th or better in 4 of his first 8 PGA Tour starts and looking very much like the next Jon Rahm. Big things were expected of him this season, but he’s off to a slow start, logging just one top-10 in 11 events and failing to qualify for last week’s Players Championship. It’s not like it’s been a total disaster, however– Niemann has made 9 of 11 cuts, so he’s still playing reasonably well, and he ranks in the top-25 in GIR percentage, which should serve him well this week at Copperhead, where precision iron play is a requirement. Though he’s yet to play this tournament, Copperhead seems to be a good fit stylistically– Bermuda grass, small greens, very demanding tee-to-green– so if we’re trying to predict when and where Niemann will inevitably break through with a big-time performance, this seems to be a reasonable week for it. At nearly 140/1, I’m certainly willing to take a chance on someone with such a high upside.